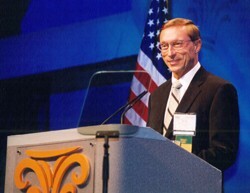 The Krizek Group was founded in 1967 by Ron Krizek. The Krizek Group provides their clients with the tools and thinking that creates real financial security for generations. Ron Krizek and his team focus first on what you value...and then on the value of what you own. Most plans begin with solutions. Our approach begins by helping you discover what is important to you and ends with a plan that reflects your core values. Please take a moment to meet the members of the The Krizek Group. The Krizek Group offers a nationwide practice. They happily serve clients all around the country. Ron Krizek earned the Chartered Financial Consultant (ChFC®) and Chartered Life Underwriter (CLU®) designations through the American College. Click here to learn more about Ron's Professional Background. Ron Krizek is a member of M Financial Group and may offer certain securities through M Holdings Securities, Inc., a registered broker dealer, member FINRA / SIPC. The Krizek Group is owned and operated independently from M Holdings Securities, Inc. Northwestern Mutual, NLTC, and NMIS have no affiliation with M Securities Holdings, Inc. or M Financial Group. 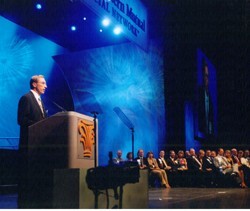 Created the Ronald and Marjorie Krizek Fund within the Milwaukee Foundation. See how Northwestern Mutual permanent life insurance offers protection along with cash value that is guaranteed to grow over time.